For nine years she was supreme leader of the Bangengele. 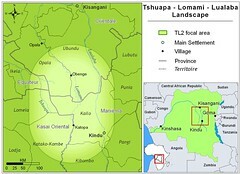 Marking the border of the Lomami National Park could only happen because of the ceremonies requested by the Chief Ulimwengu. All the clans gathered for her coronation. This was the woman who became a chief: Her grandfather died. 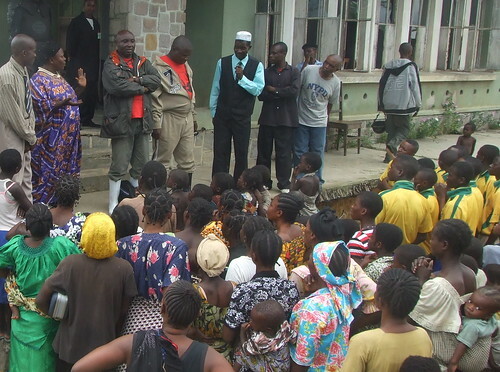 After a period of contention and confusion among the Bangengele, the key elder of the chiefdom chose her over her older brother or male cousins. 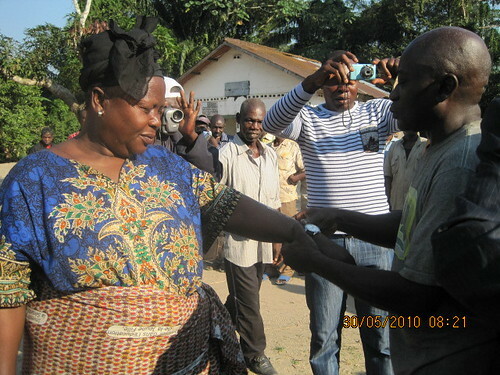 She became the only woman chief among the 34 sectors of Maniema Province. Everyone knew she was calm, but the elder who chose her must also have sensed her dedication, commitment and vision. We only learned that slowly. She addressed her people with sympathy but firmness. She did not hesitate to arrest people for environmental infractions. 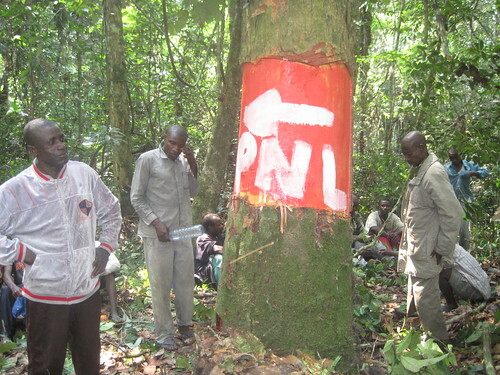 This was the exceptional effort she made: In 2009 she listened to us explain the exceptional biodiversity of the Lomami forest that included the western most part of her chiefdom. 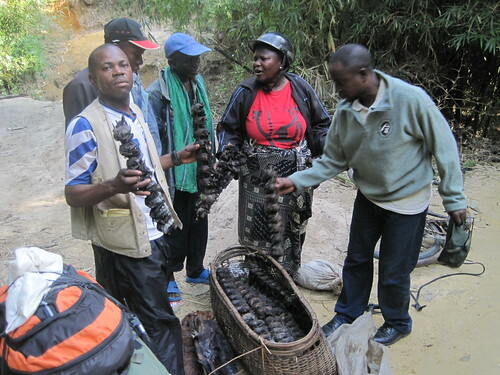 She understood the peril of not officially saving it – already non-Ngengele hunters were over-using the forest. She rode motorcycle, and crossed flooded streams to speak to her people about the park. She accompanied ministers, assemblymen and the ICCN (parks) director. A Parks’ director helps the chief cross a plank bridge. 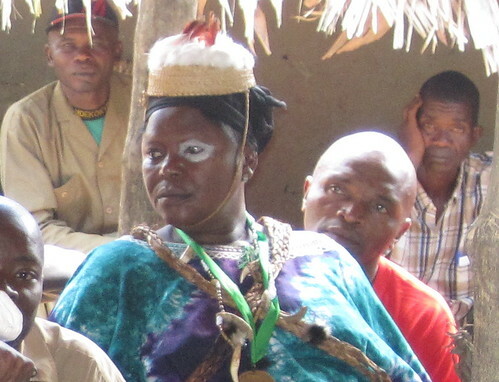 The chief receives traditional markings during an Ngengele tambiko. 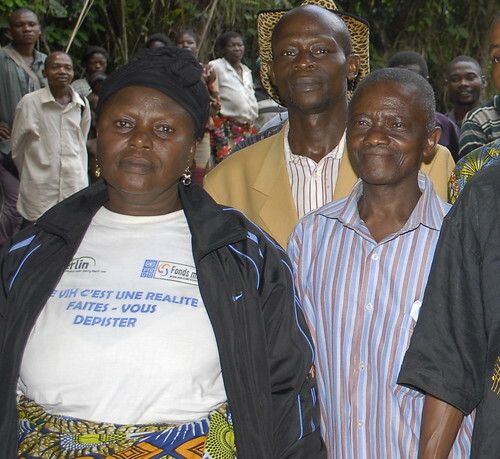 She led the conservation effort towards the traditional “TAMBIKO” . In the end villages throughout the park organized five of these traditional ceremonies to consult the ancestors. The park gained deep-rooted local acceptance. 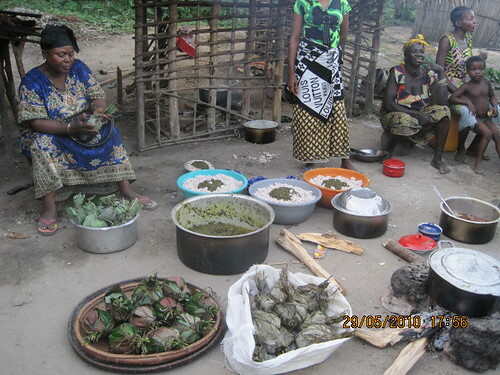 She was not above helping other women in the kitchen as they prepared to feed the many village authorities gathered for a tambiko. 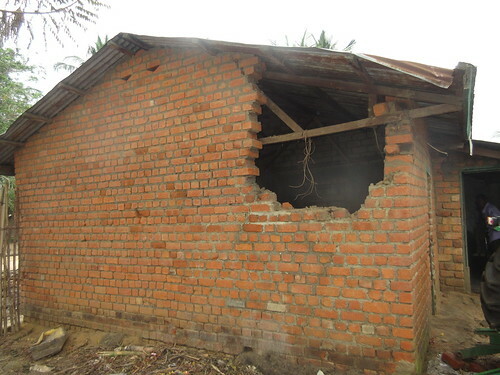 Her house was attacked in the night by another ethnic group. 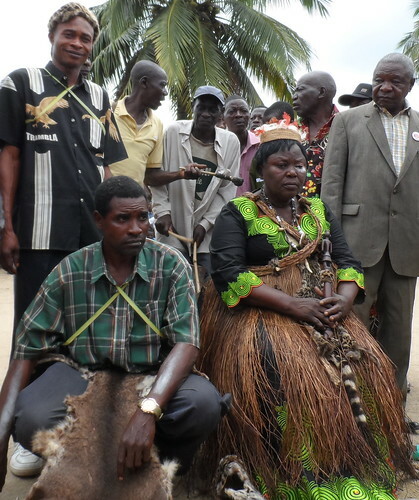 ALAS: What hurts is during the post-funeral, clanic meetings a ruling was passed denying henceforward all women access to the throne of the Bangengele. She was the first and the last and a stalwart voice gone silent. Your example is still before us.